What would you do if you had lobster claws for hands? Would you shake hands with new people that you met? Could you be trusted to or would you pinch their fingers, perhaps on purpose? 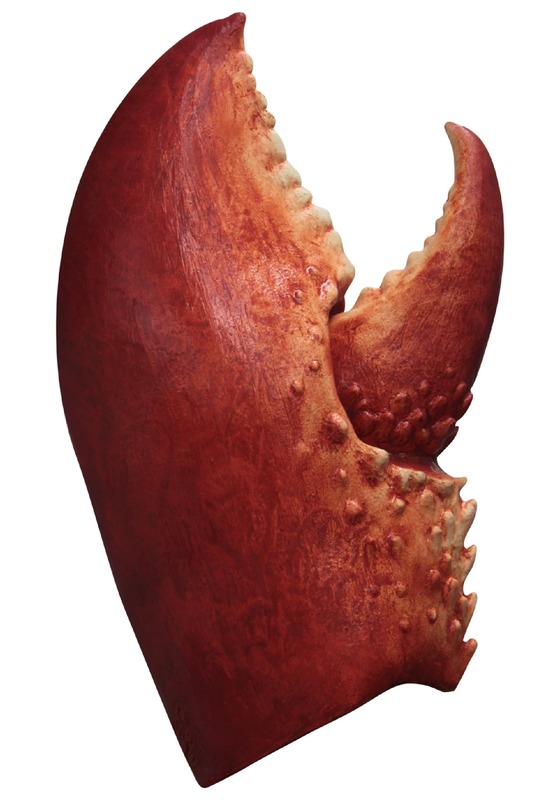 Would you use your lobster claws for good or evil? These are all very important questions to ponder when considering whether or not lobster claws are fitting for your lifestyle. Sure, everyday activities like cooking and cleaning might pose more of a challenge, but we assure you there are some perks. You'll be the most popular person everywhere you go. Everyone will want to stop and get a good look at your claws. Your followers on social media will skyrocket. You'll become a celebrity over night, and your lobster mitts will be the reason why! These lobster hands will easily slip over your real hands like gloves, and believe it or not, they're really fun and comfortable to wear. We recommend wearing them to complete your rock lobster costume, or add them to a fisherman costume as a surprising accessory that will make your costume stand out in the crowd!